India’s first 3G Mobile service operator Mahanagar Telephone Nigam Ltd (MTNL), toady announced the launch of ground braking Value Added Services for its next generation 3G mobile service subscriber in Delhi and Mumbai telecom circles. 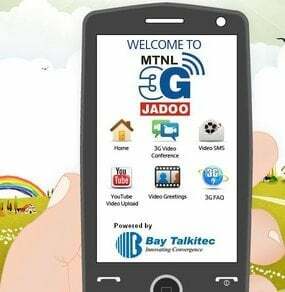 MTNL ties-up with Bay Talkitec, a leading 3G Mobile VAS solutions provider and introduces Video on Demand,Video SMS, Dial TV (TV without Internet), YouTube upload and Video Conferencing. The new services are concentrated on the generation youth like Video Fun, Video Handy Cam and Video Greeting. These 3G Value Added Service allows the MTNL subscribers to traverse a wide variety of categories through the video call platform. The services are available on both pay per usage and subscription models. User can dial in anytime and enjoy the Video SMS, latest music, TV without Internet, bollywood updates, celebrity interviews and movies. User can even dedicate that particular video to any other subscriber for more usage trend. Recently, MTNL has been upgraded its 47 Lakhs 2G Mobile service users into next generation 3G Mobile Services in Delhi and Mumbai circles. MTNL 3G services enable its subscribers to access High Speed wireless Internet with faster downloads, Live TV and video streaming among other value added features. Note-The above services will be work only with in 3G network area. Option 2. 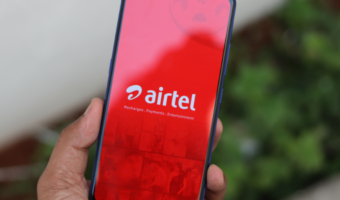 Pay per use – Rs.2 per minute. Note-: The above services will be work with in 3G network coverage area.